« We have reservations for Epcot International Food & Wine Festival 2014! 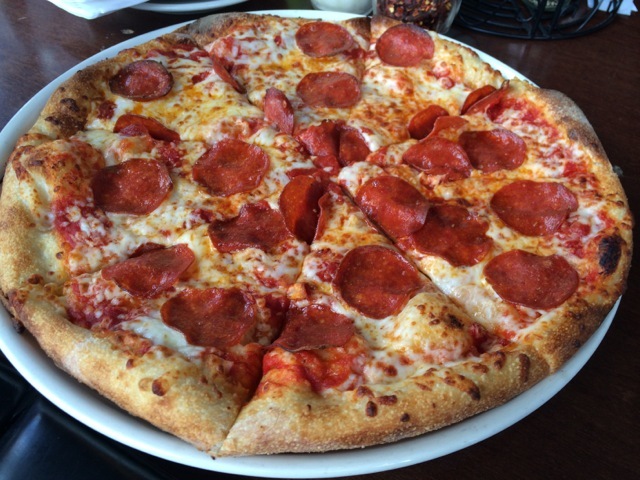 We stop in at Splitsville regularly and we’ve often seen and smelled the pepperoni pizzas. They’ve always smelled amazing, like pizzas used to smell when we were kids. So, today we were having a small “ignore the diet” moment and we ordered a pepperoni pizza. Looks pretty good. The smell wasn’t as amazing as we expected, but what the hey! It’s pizza (which we rarely eat these days even though it was a very large component of our diets in high school and college!). The crust became very tough as the pizza cooled – it took a lot of chewing. The sauce was nothing but tomato, no herbs, no garlic, no pizzaz at all (well, there was a salt component). The pepperoni tasted like they used to when we were kids (in other words, this was a nice spicy pepperoni with some grease/fat in it). The cheese was just kind of there. Okay, so we weren’t mightily impressed, in fact, we weren’t impressed at all. 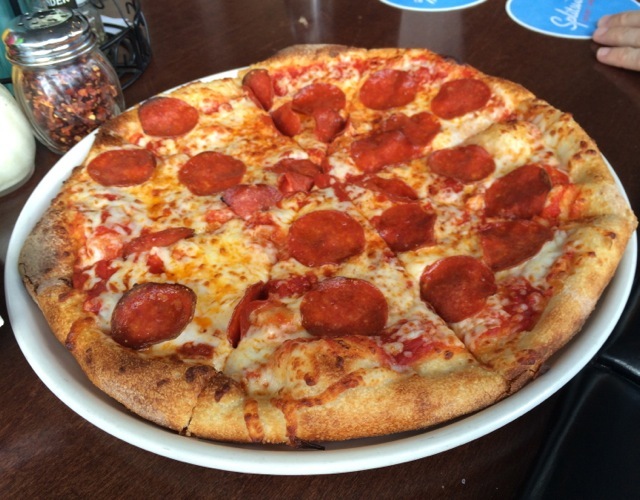 While there are other things we like quite a bit at Splitsville – this isn’t an item we’re likely to order again. Changes to Backstage Tour at Animal Kingdom? Bad Behavior has blocked 176 access attempts in the last 7 days.